Privacy and personal data. Valero de Bernabé, L.; 2010. 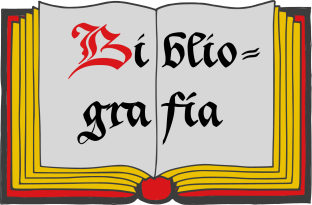 Bibliographic references by authors. The personal data that can be received is always approved through the direct decision of the user and given through the different resources available on this site, for example, through the email address or the contact form. 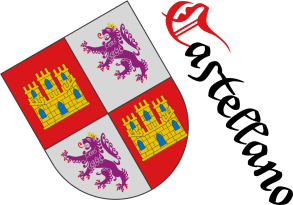 By the Organic Law 15/1999 of Protection of Personal Data of the Kingdom of Spain, it is informed that the personal data that users could provide by electronic mail, through the contact form of this heraldic site Blason.es, by the request or provision of services or by any other means or reason could be incorporated into a personal data file registered in the Data Protection Agency, whose owner is Antonio Salmerón Cabañas, who is also the owner of this domain Blason.es and its associated heraldry domains. Only basic personal data provided by the users' own decision will be recorded, which will be treated in a confidential way and, as a general rule, only personal data will be entered into this personal data file when it is necessary for the provision of any specific service, for example, services of heraldic art, of a coat of arms identification, etc. or by the fiscal requirements that were legally applicable at any time. So in other cases, for example, simple intercommunication, exchange of emails, basic queries, etc. the personal data of users may not be registered, but if, in spite of this, any user has doubts about the registration of their data, they can always carry out their exercise of ARCO rights. Luis Valero de Bernabé y Martín de Eugenio, «El Lobo, singularidad de la heráldica hispana», Magazine of the Real Asociación de Hidalgos de España, «La Gacetilla de Hidalgos de España», number 524, pages 20, 21 and 22. Madrid, 2010. The author is Valero de Bernabé y Martín de Eugenio, Luis. My Pinterest board is as follows: pinterest.com/blasones. Categories: Technology and Social networks. 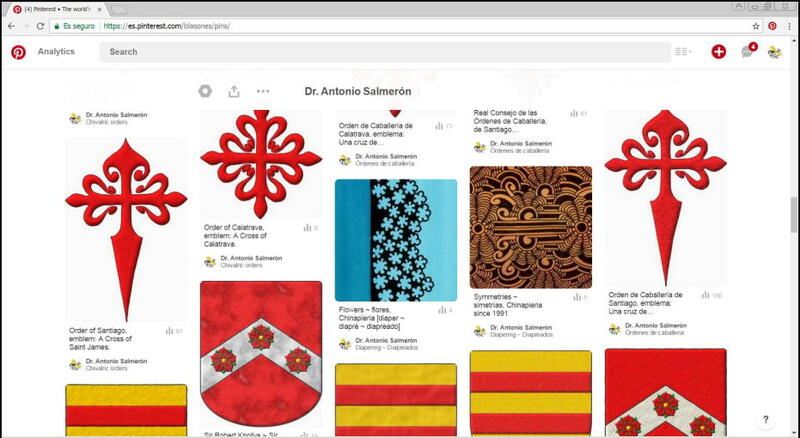 I introduce my heraldic style and coats of arms in pinterest.com/blasones with the following description: «My style as a heraldic artist is clear, simbolic and methodic. Clear because my work searches pieces which transmit energy and vital force to the owner, I think that a coat of arms should be a source of light and joy and an expression of freedom. Symbolic because coats of arms must be a representation of its bearer, his/her ideals, motivations, history and anything he/she might want to display. 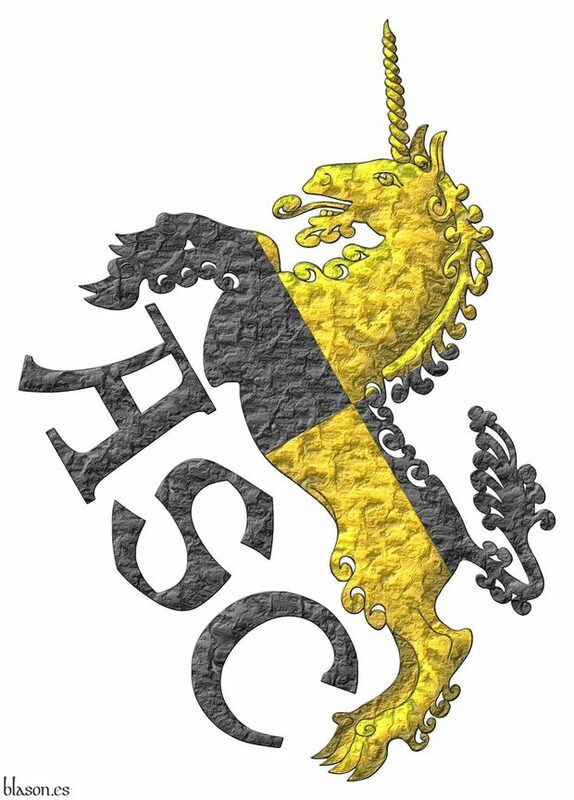 Methodical because heraldic art is founded on a science, the so called science of heraldry». 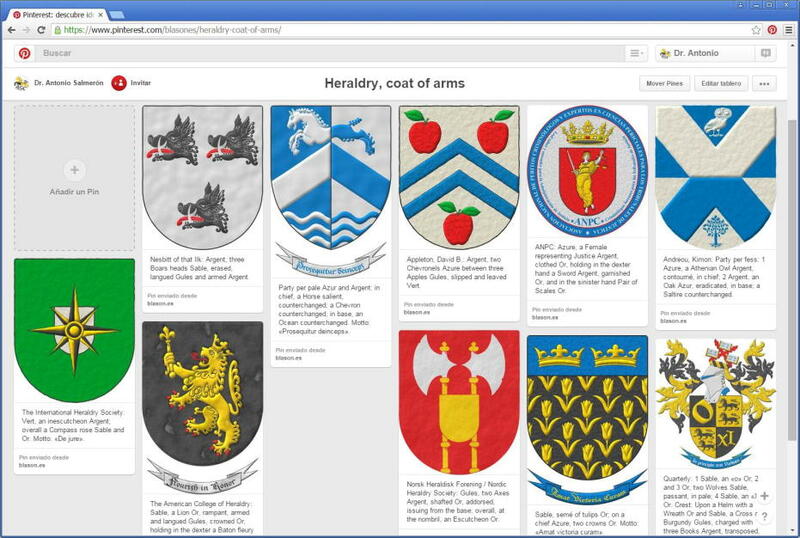 The blazons in English are in the following Pinterest's board: pinterest.com/blasones/heraldry-coats-of-arms. Gustavo Adolfo Bécquer (Gustavo Adolfo Domínguez Bastida), «The Mount of the Souls», published for the first time in the newspaper El Contemporáneo, along with 16 more legends, on November 7, 1862. It was also edited a year after his death in his book titled «Rhymes and Legends», whose first edition of 1871 was prefaced by Rodríguez Correa and it was initially published in 2 volumes and later in 3 volumes. The edition used in Blason.es is the one titled «Legends», edited by Ediciones aContracorriente, ISBN 978-84-939129-0-1, Madrid, 2011. 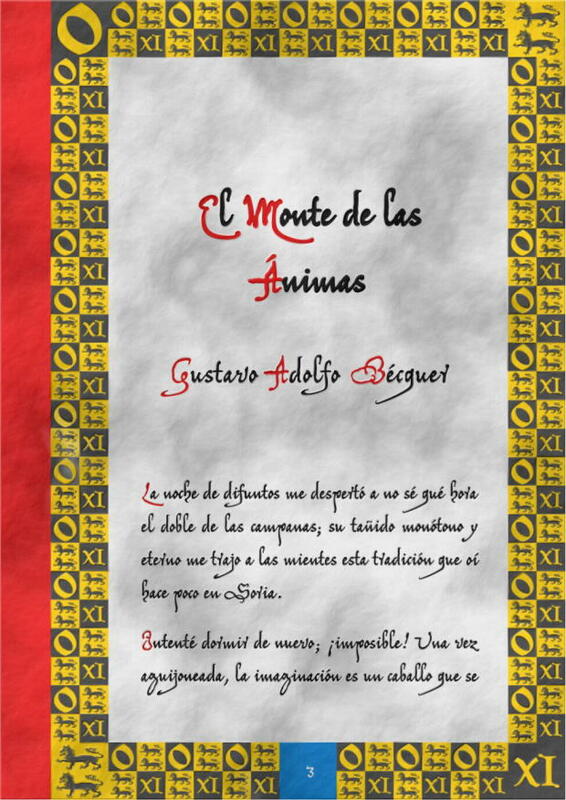 The author is Bécquer, Gustavo Adolfo. 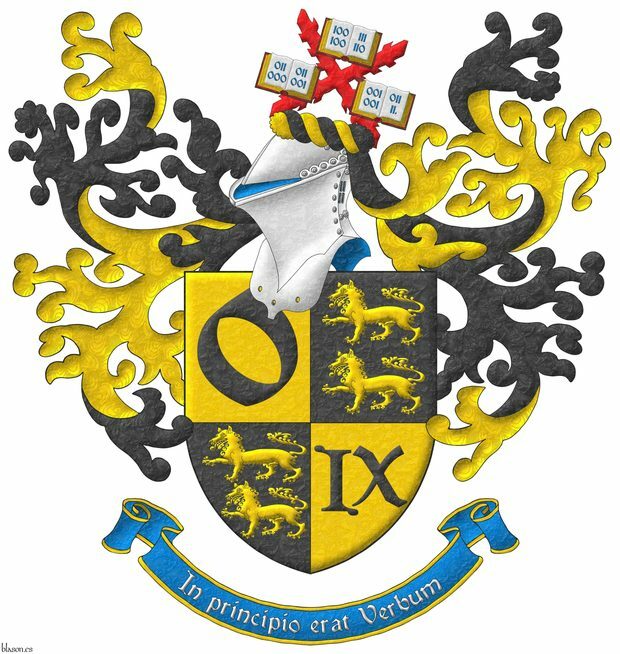 Five college degrees from four different universities and a long experience serving patrons from different cultures and traditions is the base of my heraldic practice. My wide range of knowledge and broad praxis are factors of my exuberant creativity. With a blend of strict adherence to tradition whilst hand drawing and an artistic combination of digital imaging procedures, I astoundingly «brings symbols to life». My artistic style combines hand and digital process and could be drawn with 3 terms: clear, symbolic and methodical. Clear because his creations transmit energy and vital force to the owner, he believe that a coat of arms should be a source of light and joy and an expression of freedom. 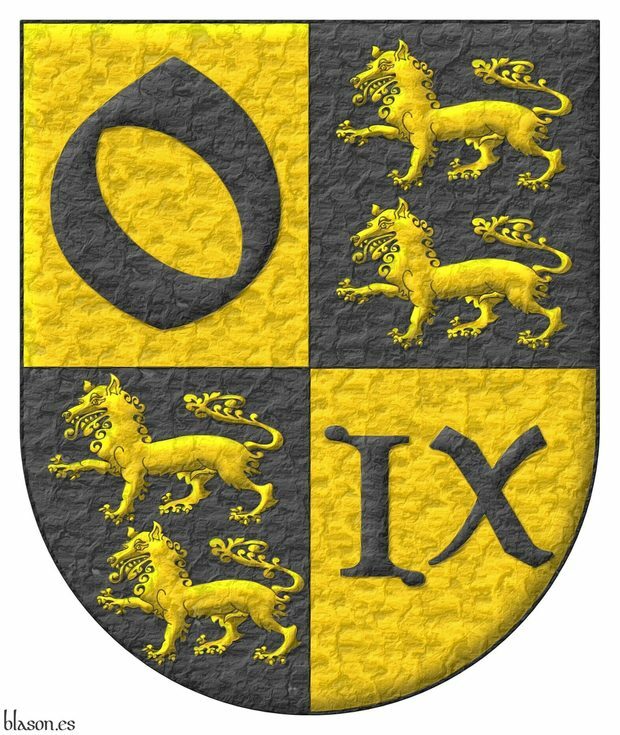 Symbolic because a coat of arms must be a representation of its bearer, his/her ideals, goals, motivations or history. Finally, my heraldic creation methodology is founded on the science of heraldry and is a guarantee of a professional work.